Scandinavia may not be at the top of your list for your next family vacation, but it should be. 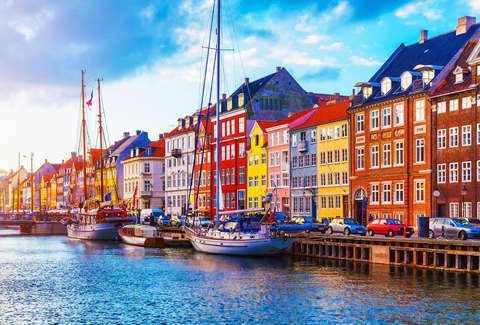 Not only are Sweden, Norway, Denmark, and Finland full of once-in-a-lifetime European adventures for all to enjoy, but Scandinavian Airlines is offering to fly your kids there for free. That’s right, parents -- prepare to win some serious cool points with your children. The airline’s kids fly free promotion is back, meaning free base airfare on round-trip flights for infants and children to any of the airline’s destinations in Scandinavia and Finland with accompanying adults. Passengers will only be responsible for the cost of government taxes and carrier-imposed fees for booking their child’s ticket, which shouldn’t run you more than $60. Babies up to 23-months-old and children ages two to 11 qualify for this deal. Kids 12 and over won’t have access to free flights, but Scandinavian Airlines does offer discounted travel rates to passengers under the age of 26. The promotion applies to all flights booked for between January 8, 2019 and April 2, 2019, so the clock is ticking on taking advantage of the discount. Travelers in all seven of Scandinavian Airlines’ United States markets, including Boston, Los Angeles, Chicago, Miami, Newark, San Francisco, and Washington, DC will be able to access this unique opportunity. If you’ve dreaming of whisking your family away on the Scandinavian vacation of a lifetime, or you are after hearing about this deal, be sure to book your travel by December 10. You don’t see deals like this often -- if ever -- so don’t miss out.